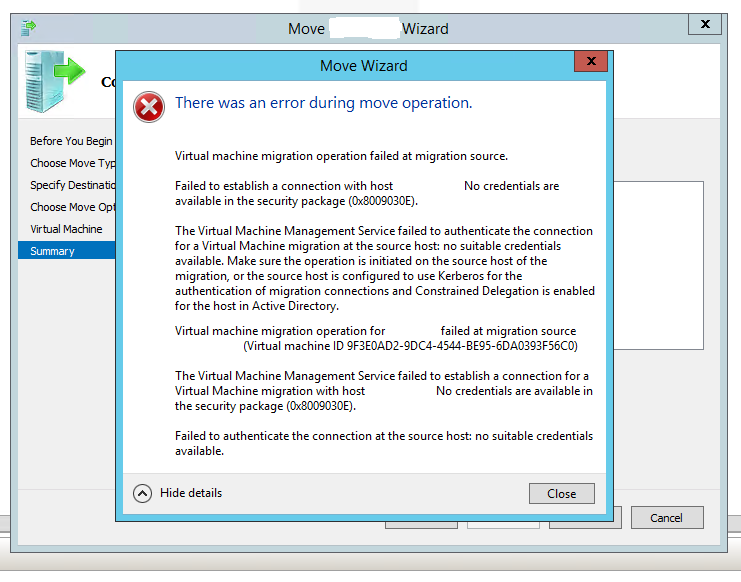 The Virtual Machine Management Service failed to authenticate the connection for a Virtual Machine migration at the source host: no suitable credentials available. 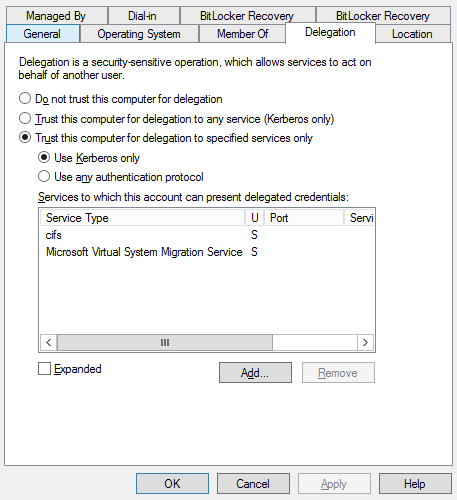 Make sure the operation is initiated on the source host of the migration, or the source host is configured to use Kerberos for the authentication of migration connections and Constrained Delegation is enabled for the host in Active Directory. The Virtual Machine Management Service failed to establish a connection for a Virtual Machine migration with host ‚ServerB’: No credentials are available in the security package (0x8009030E). Failed to authenticate the connection at the source host: no suitable credentials available. And things still didn't work! 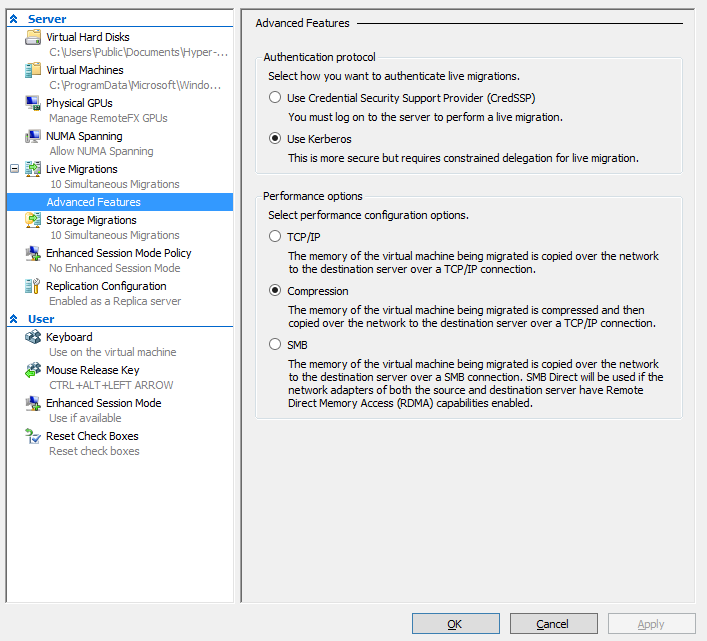 If you want to be safe for the Windows 2012 R2 to Windows 2016 make sure to use Use any authentication protocol as things has changed between Winodws Server versions. 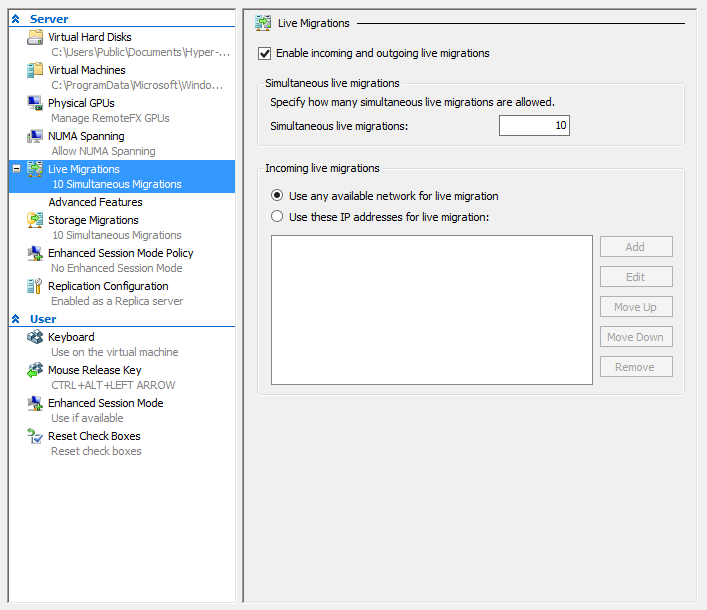 The reason for this is that Windows Server 2016 has changed the WMI provider used to a new version, which relies on WinRM to execute remote procedures rather than DCOM. 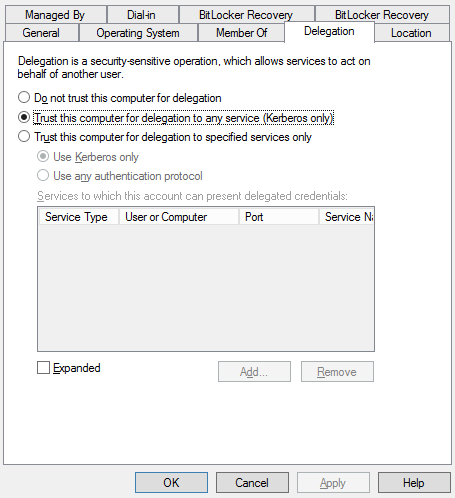 WinRM, running as the Network Service, cannot access the Kerberos service ticket obtained to perform the action.